Are Luxury And Supercar Companies Selling Out By Making SUVs? This production trend is only increasing. Perhaps it all started with the Porsche Cayenne. When it launched back in 2002, many believed Porsche had gone, well, kind of nuts. 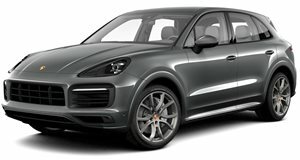 A Porsche SUV? Who the hell were they kidding? Only now it’s Porsche that’s having the last laugh; the Cayenne (and its second gen successor) have brought in millions upon millions of crisp, clean cash. A loaded Cayenne Turbo S costs at least $160,000, and yet its basic underpinnings are the same as that of a fully loaded $67,000 Volkswagen Touareg. See why competing brands want SUVs of their own? It may have taken a few years, but we’ll soon have SUVs from Bentley, Rolls-Royce, Jaguar, Maserati, Lamborghini, and Lotus. Aston Martin is planning a crossover, but the idea is exactly the same. If mainstream automakers are raking in huge profits with crossovers and SUVs, then why can’t luxury and supercar brands do the same? Porsche has well proven the formula works. That said, those brands are anything but mainstream. Shouldn’t they be solely focusing on the cars that made them what they are today? Brand purists will likely agree, but that’s not how this business works. The goal of any company – automakers especially – is profit, and SUVs/CUVs bring in lots of dough. The Porsche 911? Its development is heavily funded by Cayenne (and Panamera and Macan) profits. But is that really selling out? The 911 is better than ever and it remains Porsche’s flagship. Is Lamborghini, Jaguar, etc. now doing the same? What’s so wrong with wanting development money and increased profits? Business is business, after all.